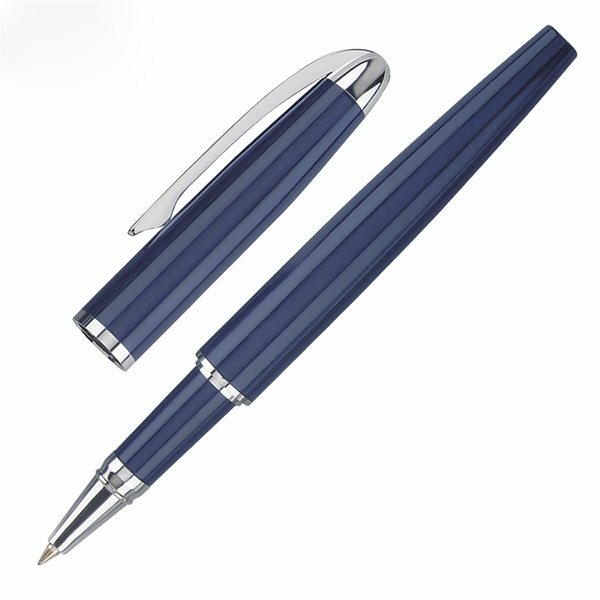 Solid brass with blue lacquer finish, spring-loaded clip and polished chrome points. Everybody has them on their desks, engaged in various activities, and accented with various drawn on or taped/glued on accessories. They're a hit... I need to order more. More availability regarding colors thank you for everything you did to make this work out on time and in budget. You made me look good! Spectacular give-away, we are showing in an worldwide conference and can happily begin using these as give-aways. the embroidered name is a great size and easy to read, as well as of quality stitching. There where no surprises with this particular item. Great hand out item - just unique enough to make an effect. For what I paid I was not expecting such a great product!